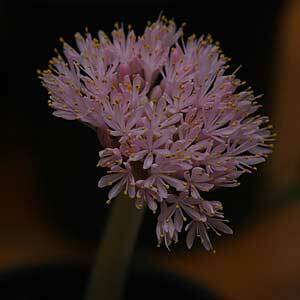 Another drought tolerant bulb from South Africa Haemanthus humilis comes in a number of forms, the species has pink flowers and a ‘giant’ form is also available. Other difference do exist in terms of flower colour and size. This is a summer flowering plant and the foliage follows. The foliage itself is a deep green and broad. Haemanthus humilis subsp hirsutus has white flowers and is from an area of summer rainfall. In a well drained soil this is very easy care bulb. It flowers reliably for us every year. We use very little fertiliser, and never water them. They grow welling the ground as well as in containers. Easy by division and also possible from seed. Seed needs to be fresh and sown directly after collection. Common Name – None known. Flowers – Pink or White depending on variety..